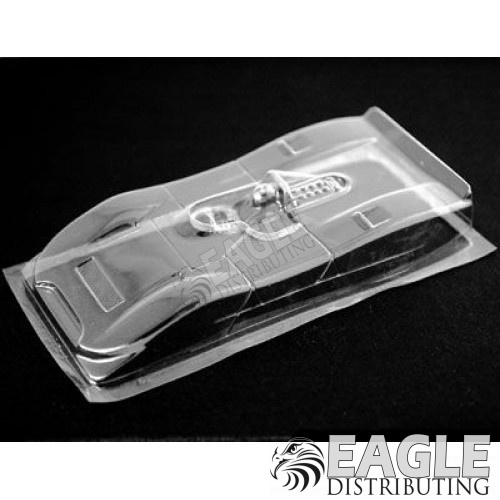 unpainted clear lexan body for 4" retro cars. Ferrari 612, .010 thick. Open Cockpit w/molded in driver. Front wheel paint masks included.